I Can’t Believe It’s Not Ranch Dressing! Did you know today was National French Fry day?? I didn’t! Yeah, it’s totally a thing I was unaware of but the second I knew about it I needed some. I had some bean burgers on deck but we needed a dipping sauce…. Ah-ha! What goes better with french fries than ranch dressing? Needless to say I was on a mission to create this staple dipping sauce to go with our fun “All-American-Made-Vegan” fair tonight. I whipped this baby up so fast I impressed myself! The boys were busy dipping and the husband was raving before I could even sit down and enjoy this amazing concoction. That’s how fast it was whipped up and on the table! Beautiful right? Oh…and decadent. So how’d I do it? With this stuff. Nothing funky. No expensive cashews. The only thing you may have to try and find is the Vegenaise but your local Stater Bros. should carry it. If they don’t I recently discovered a great shelf brand at Super Target called Just Mayo and it’s just as good if not better. Just look around. You’d be surprised what you’d find when your not looking. There are so many options out there now that are vegan that you would never know were there! 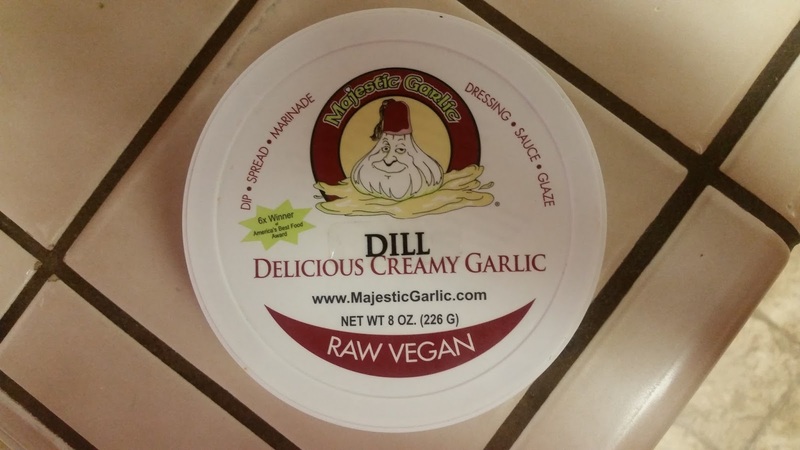 Now the following stuff, Majestic Garlic, is optional and I have a substitute for it in my recipe but if you can get your hands on it, I HIGHLY recommend you do so because it’s incredible. I get mine at our local Farmer’s Market but I’ve seen it at Whole Foods, Sprouts and you can also order online. All it takes is 1/2 tsp. in this recipe to completely transform it. If you don’t have it, simply add a teaspoon of fresh dill and a teaspoon of crushed garlic and you’ll be good to go. You can even omit this step and see how you like it. When I asked my 7 year old son if he liked the ranch he replied, “Yeah mom! It’s REALLY good ranch.” He was none the wiser that anything was different. 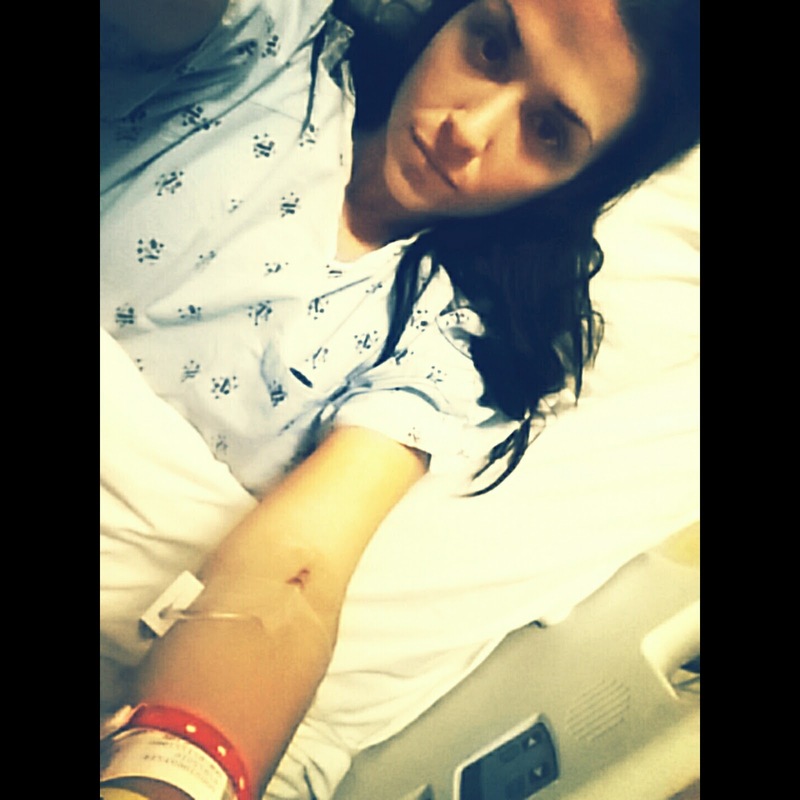 Before we get to the recipe I just want to let everyone know that it’s been over a month since I was in the hospital. I now have one full month of living a whole foods, plant based diet under my belt and I feel great. 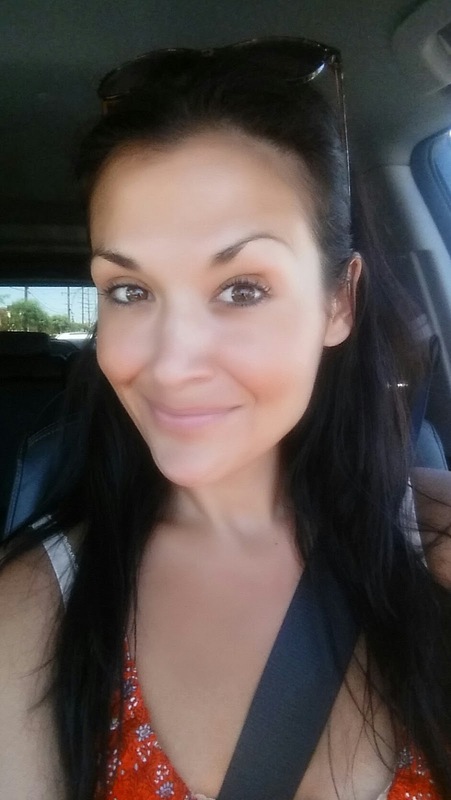 My skin looks better, I have more energy and I haven’t had any trips to the doctor. My goal is to make it through til the end of the year without having to. I know it’s a tall order but I have faith in this way of living and I know that the good Lord above has brought me back to it for a reason. Here I was yesterday. And no, I didn’t use any filter on this picture. I think it’s pretty drastic change from where I was a month a go. Am I glowing?! This is a vegan ranch dressing that is dairy-free and can be made completely nut-free by using soy milk instead of almond milk. Almond is just what I had on hand. Any non-dairy milk will work. This stuff is a dream! 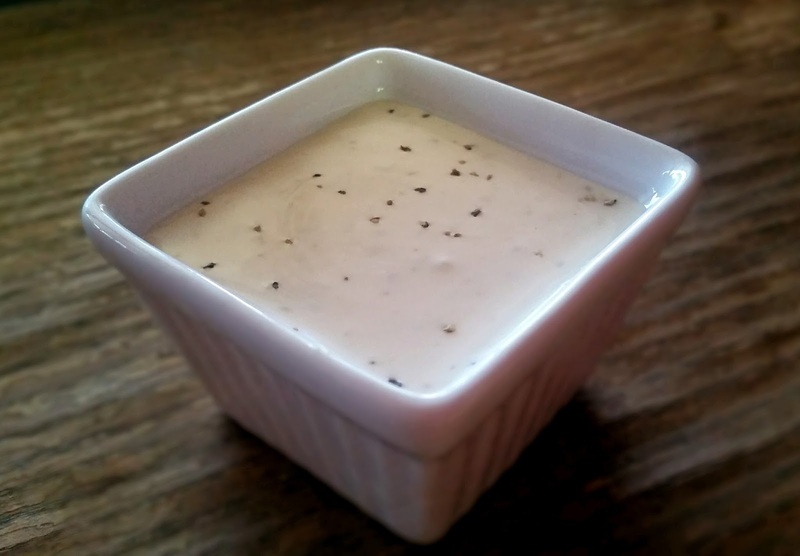 It will beat any ranch dressing you’ve ever had, vegan or otherwise. It was so easy to make and everyone in my house loved it. 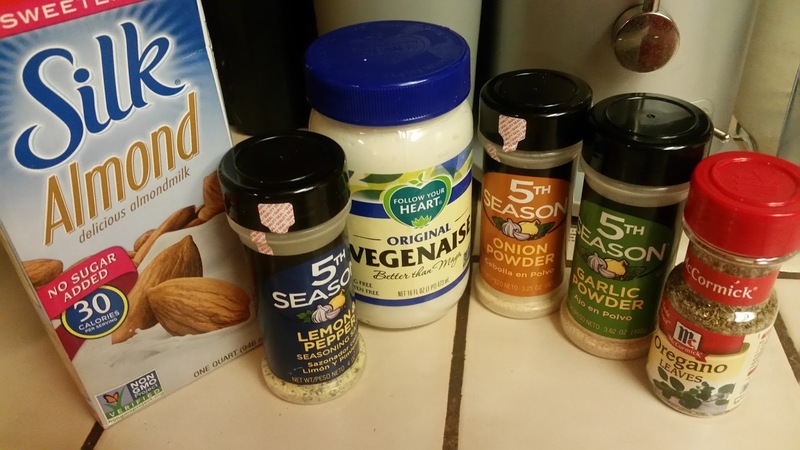 You can use more or less mayo and non-dairy milk and turn this into a thick dip or thinner salad dressing. It’s very versatile and forgiving that way. **1 tsp fresh dip and 1 tsp crushed garlic may be substituted. You can play with the herbs to your liking. Parsley, dried or fresh would be excellent too. Whisk all ingredients together until well combined. Cover and chill until ready to serve or serve immediately like we did. Can be kept in the fridge for up to 5 days but I doubt it will last that long. Try it and let me know what you think! Tell me how you change it up or what you add and take away. Thank you for your continued support!! This sounds so good and easy, definitely gonna try this one. You look fantastic, so proud of you.